10ft Protective cover for round trampolines of 3.05 m in diameter. Cleanliness cover to maintain your 10ft trampoline. 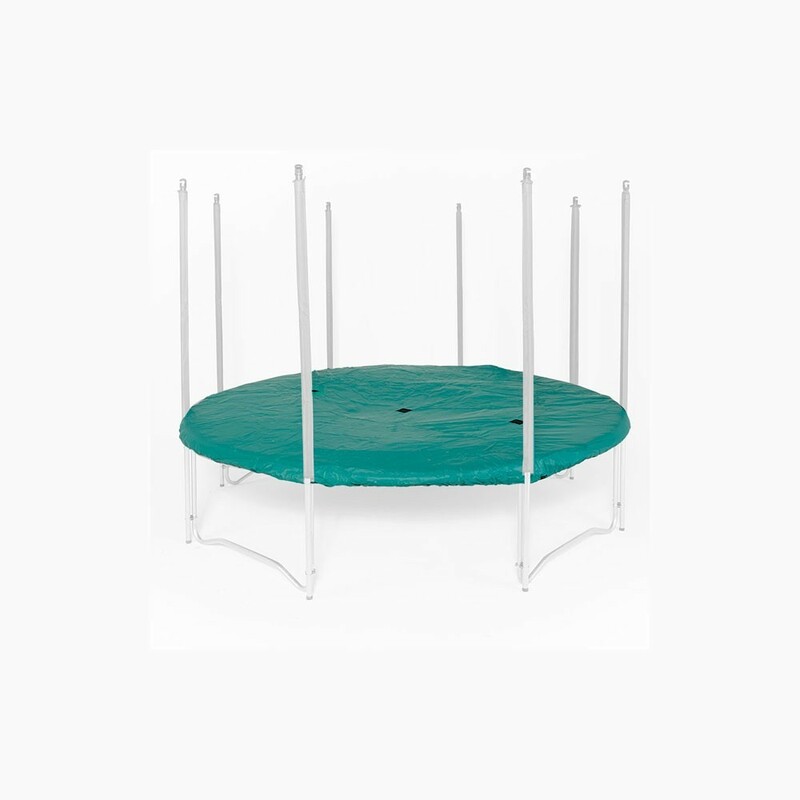 This protection cover for round, 10ft/3.00 m trampolines has been designed to efficiently protect your recreational trampoline on the long term. No more worrying about a dirty jumping pad or frame pad, even the net can be protected. 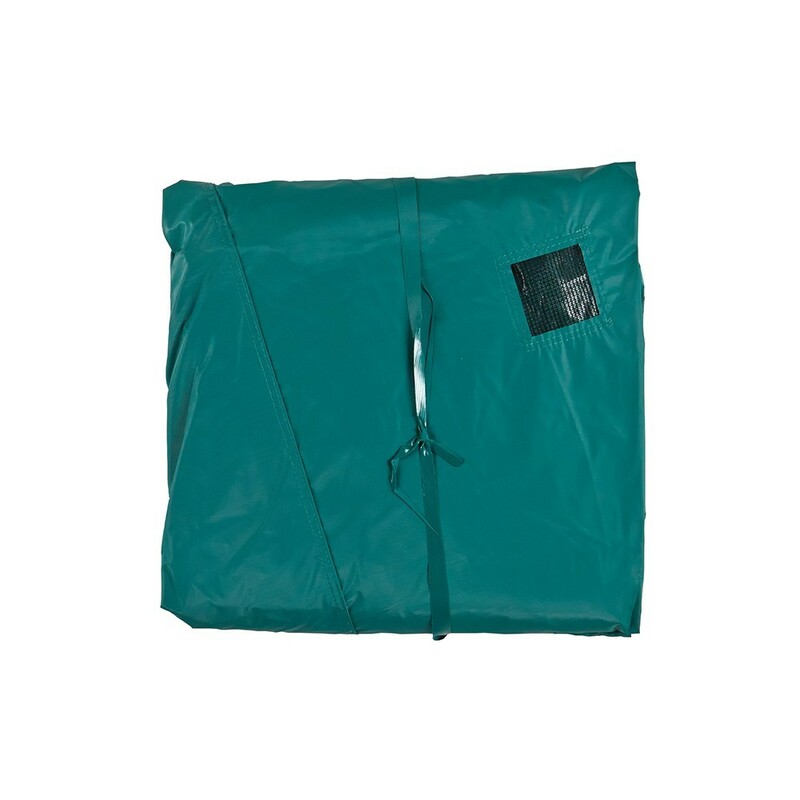 - This cleanliness cover is a discreet green colour and is adapted to all round trampolines of 3.05 m in diameter. - Made of a technical fabric and covered in a thick PVC coating, which has a density of 650 gr/m², this cover is very weather resistant. 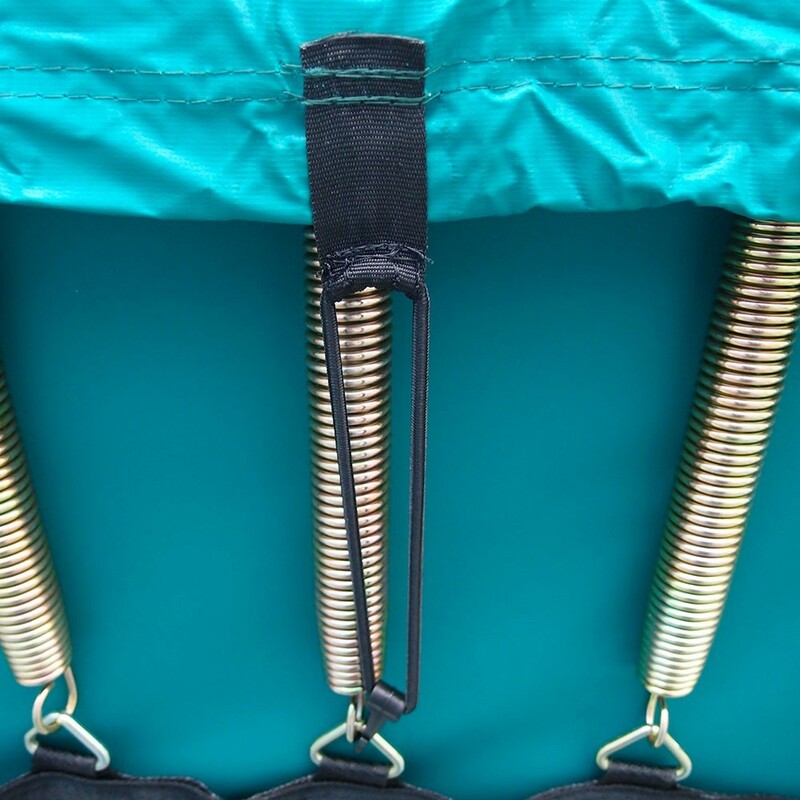 - Its fixation system is durable and easy to use as its elastic straps have a hook on the end which can be fixed under the frame pad, near the springs. 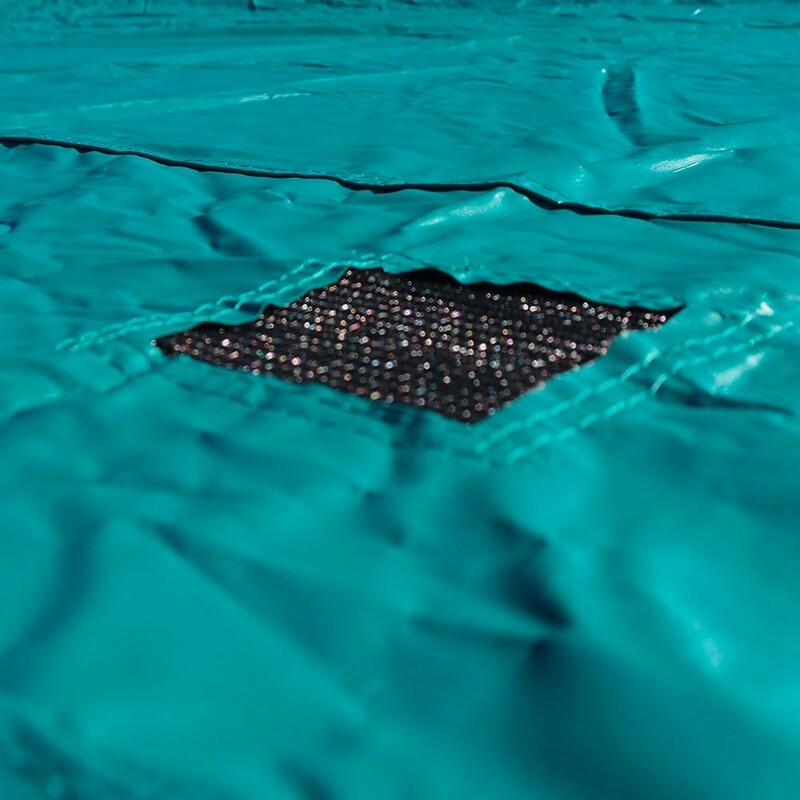 - 3 evacuation holes have been inserted into the upper part of the cover to allow water to run off it, therefore avoiding pressure on the jumping mat which could damage the springs. There is therefore no impact on the general dynamics of the trampoline. - This cover is also UV protected which allows it to remain outdoors even during the hottest months of the year. 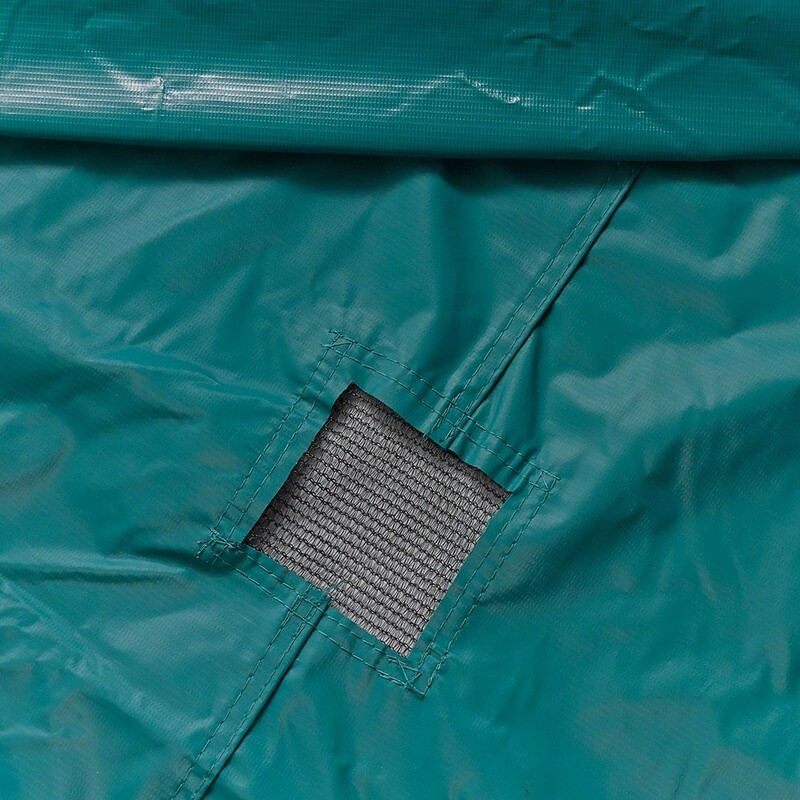 It should be noted that these covers are often presented as winter covers, however this cleanliness cover is useful all year round, as it prevents the PVC and textile components of your 3 m trampoline from getting damaged. 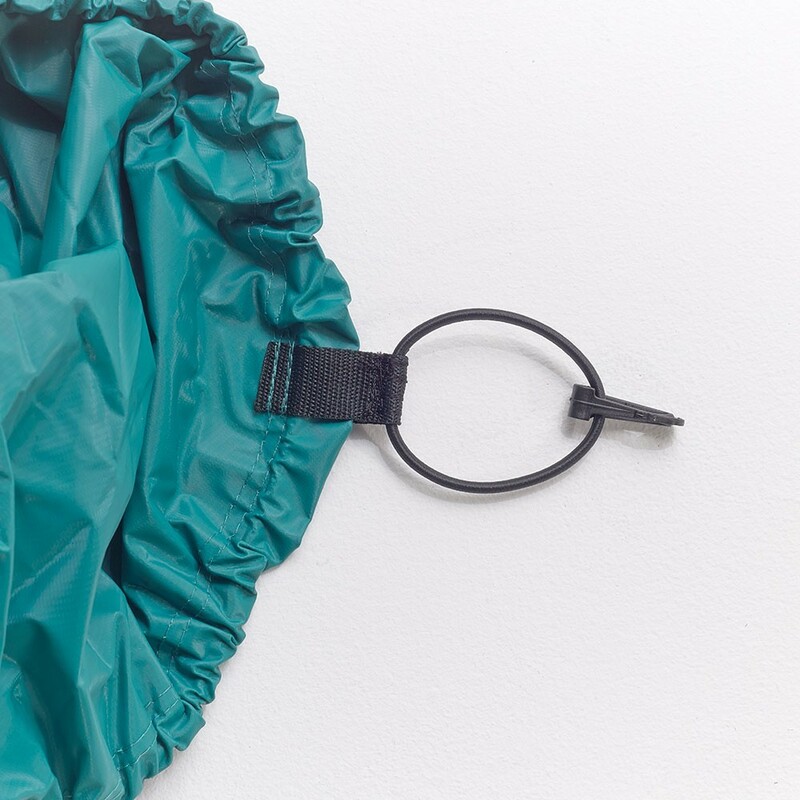 Whether you use it for a few days or a whole season, this cover is easy to put on and take off to prevent any natural deterioration (from pollen, leaves, birds, etc…). Très bon produit de très bonne qualité. matière souple et pratique à stocker.